How to handle the other mutant turtles? Tokka- Since we already have Slash being the hulking monster in two continuites, what if you took this turtle the OT route, where he was intellegent? A smart and deadly Tokka and Rhazar would be a deadly combination. Terrorpin- Make her an intelligent villian, too! A female turtle could be the apple of discord to the four brothers, stirring up jealously and making them fight amongst themselves. Give her her own non-ninja fighting style, and you're good to go! Last edited by Panda_Kahn_fan; 01-20-2014 at 10:57 AM. Don't bring back any of them. Kerma won't work outside the OT universe. 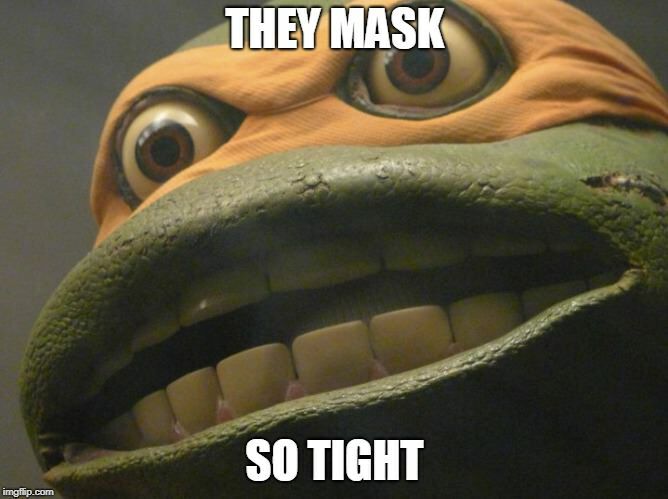 I can possibly see Nick using Tokka, if Shredder wants to create his own turtle mutant. Seeing Slash and Tokka fight may be too cool to pass up. It is kinda weird, for me, to have Rahzar split from Tokka. But, then again, this is a totally different Rahzar (to my understanding... I haven't seen the episodes). It would be nice to get a Tokka in the show and maybe shift Rahzar with Tokka and leave Fishface to his own devices or trying to appeal to the two classics. But... overall... lets not saturate the show with too many other mutant turtles. Check out, visit, support, and spread word of my original self published comic book ZOMBIE B.C. created, written, drawn, etc by me. I have always wanted to see Slash and Tokka together as Shredders trained Ninja turtles of his own. I hope they do that in the new show rather than having Slash become Tokka. Tokka worked for SOTO, lets leave him there I don't like the idea of him. Since we have Slash. Nick did a good job with Rahzar though. "Whats the most you've ever lost on a coin toss?" "you have meddeled with the primal forces of nature Mr. Beale"
That would be awesome. I would rather see Tokka as a "new" character as opposed to a secondary mutation Ala Rahzaar. Point is: what's the point? And does it work in the long run, in the overall big picture? I think it does. Adds a new and interesting element. To be honest I think Venus could work. However I think the ideal role for her is currently being played out by Karai... But I still think there's a home for her somewhere in the Nick universe. Maybe if Karai ever jumps ship and joins the turtles full time Venus could make her reveal on Shredders side? Tokka was confirmed I thought? Thanks for the responses guys, I'd love to see a few of these characters back. And as I requested before; please no mention of Venus! What you got against Venus? I'm always amazed at how many people are still surprised Venus is probably the most hated TMNT character. And how many more people are still wishful thinking that she "could be done well". Because she already has a thread. umm And that means she has a thread already, for any of your opinion whether you were going to insult about something or not.